The mysterious and captivating Shroud of Turin is once again in the news. The most recent headlines focus on studies purporting to show that the Shroud is a fake based on tests performed on store mannequins. Forensic anthropologist Matteo Borrini and chemist Luigi Garlaschelli based their experiment on the bloodstain patterns used to investigate crime scenes. While the experts believe they have finally resolved the controversial shroud mystery with their expertise in forensics – the question is whether they are correct in claiming that the Shroud is a fake. 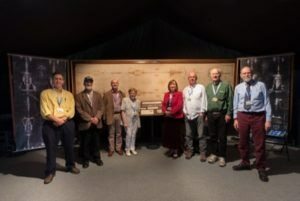 The Review of Religions’ International Shroud of Turin Conference attracts leading experts from around the world to present their research. Moreover, neither Borrini and Garlaschelli have ever had access to the original Shroud of Turin; in fact, neither has even seen it in person. The authenticity of the Shroud of Turin, believed to be the burial cloth of Jesusas, has been debated for decades. Many conferences and events on the shroud of Turin take place around the world. Indeed, over the last few years, the Turin Shroud has become an integral feature at The Review of Religions’ annual exhibition. The exhibition is held at the annual convention of the Ahmadiyya Muslim Community, Jalsa Salana, which is the largest Muslim convention in the UK and unites more than 35,000 participants from more than 90 countries to increase religious knowledge and promote a sense of peace and universal brotherhood. 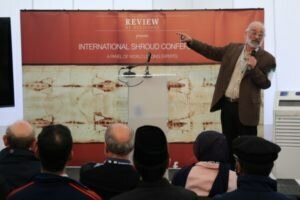 This year, the Ahmadiyya Muslim Community will once again host The Review of Religions International Turin Shroud Conference 2018 in Alton, UK, from 3rd-5thAugust. 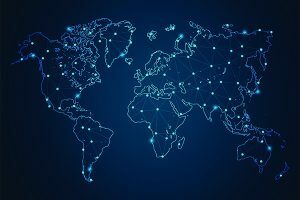 The Review of Religions conference has become an international forum for academics and experts on The Shroud Of Turin, bringing together Shroud experts, academics and specialists at the top of their field. This year brings a new and exciting lineup of Shroud scholars, including Professor Emmanuela Marinelli from Rome, Italy, who has been studying the Shroud since 1977 and was a member of Centro Romano di Sindonologia from 1977 to 1985. 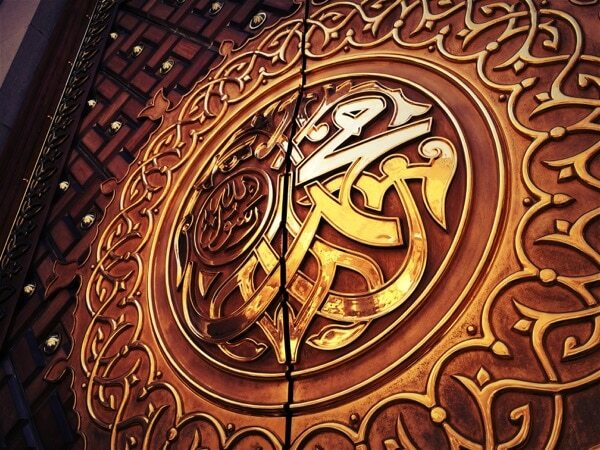 Indeed, she has visited the Shroud and has visited it five times and viewed it. She will be delivering a fascinating lecture on the role of women in the study of the Turin Shroud. Another new guest speaker attending our conference for the first time is Professor Jorge Manuel Rodriguez Almenar, from Valencia, Spain, who is the President of the Spanish Center for Sindonology. Professor Rodriquez will take us on a journey back in time to the 1200 years when the Shroud of Turin was undiscovered. 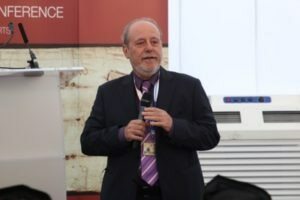 In his presentation, Bruno Barberis, former President of the Scientific Committee of the International Centre of Sindonology of Turin and former Director of the Shroud of Turin Museum, recounted the history of The Shroud. Joining us for the second time is Professor Bruno Barberis from Turin, Italy, the Former President of International Centre of Sindonology in Turin. Professor Barberis will share his expertise in his lecture, ‘Current Knowledge and the Future of Research on the Shroud’. Barrie Schwortz was the Official Documenting Photographer for the Shroud of Turin Research Project, the team that conducted the first in-depth scientific examination of The Shroud in 1978. Last but not least, joining us again all the way from the US, is Barrie Schwortz, Official Documenting Photographer for the Shroud of Turin Research Project, the team that conducted the first in-depth scientific examination of the Shroud in 1978. Barrie will discuss how skeptics dismiss the possibility of the Shroud’s authenticity based on the Carbon-14 dating alone. Shroud experts are united in their belief that this newest study is not credible. As Schwortz pointed out, there are serious questions about the objectivity and thoroughness of their work. Indeed, there is a significant canon of research carried out by forensic pathologists and blood chemists who have studied the Shroud for decades. This single study, then, is nowhere near thorough enough to outweigh the decades of research and dozens of scientists with close access to the Shroud. 2018 Marks 40th Anniversary since the First Ever Scientific Examination of the Shroud by STURP. In 1978, the Shroud of Turin Research Project (STURP) conducted the first ever scientific examination on the Shroud of Turin. Now 40 years later, we celebrate that anniversary and take a look at the progress that has been made. The Turin Shroud exhibition hosted by The Review of Religions along with the Shroud academics and experts from across the globe will discuss how much closer we are to discovering the truth about the Shroud. 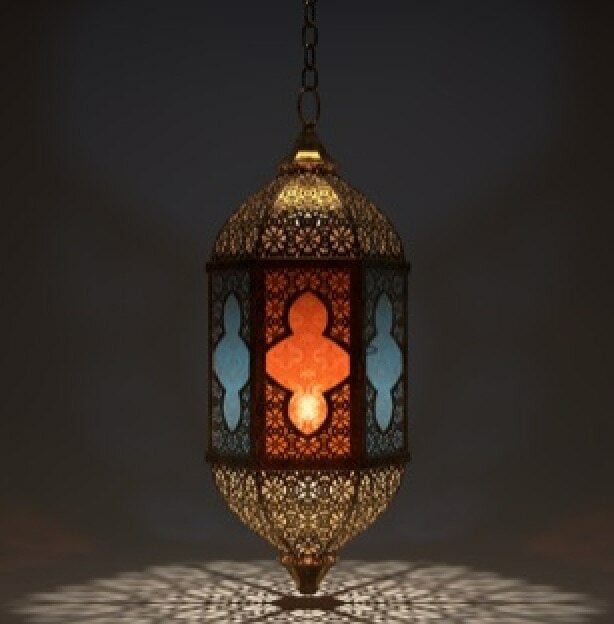 During the three days of the exhibition, visitors will have a chance to speak to Shroud experts from USA, Italy, & Spain. In addition, building on the success of the 2015, 2016 & 2017 exhibitions, The Review of Religions is pleased to host once again a life-sized replica of the Turin Shroud and the tomb of Jesus and a brand new feature added to the exhibition on Maryra Mother of Jesusas. A journey telling the story of the young innocent Maryra, oblivious to the world, focused only in the worship of God only, to suddenly be told that she was with child. And while the news of a pregnancy is usually a joyous occasion, Mary’sra case was different. She was alone and frightened; what did she do? Where did she go? How did Maryra endure the days ahead of her? Discover the facts and explore how Maryra eventually became one of the most respected and revered women to be known in history. The exhibition will also feature pictures ofthe visit of Hazrat Mirza Masroor Ahmad, Khalifatul Masih Vaba, Fifth Successor to the Promised Messiahas and Head of the Worldwide Ahmadiyya Muslim community, to the Shroud of Turin Exhibit in Turin, Italy, on 20th April 2010 becoming the first Khalifah to observe the Shroud in person. Navida Sayed is a long serving member on the Editorial Board of The Review of Religions and is currently Editor of the Christianity Section. She has been the Coordinator of the Ahmadiyya Muslim Community’s Women’s Research Team UK since 1992, whose work has predominantly revolved around Biblical studies.